Catalog Page 44. 4" Key Chain Pals. 4" plush toys key chains. Bear key chains. Catalog Page 44. 4" Keychain stuffed animals with personalized shirts. The collection is featured on two pages. We have many keychain animals including dogs, bears, tigers, huskies, penguins, alligators and eagles. The keychain pals are packed 240 pieces to a master carton. You can order any quantity you want as along as you meet our minimum order amount. 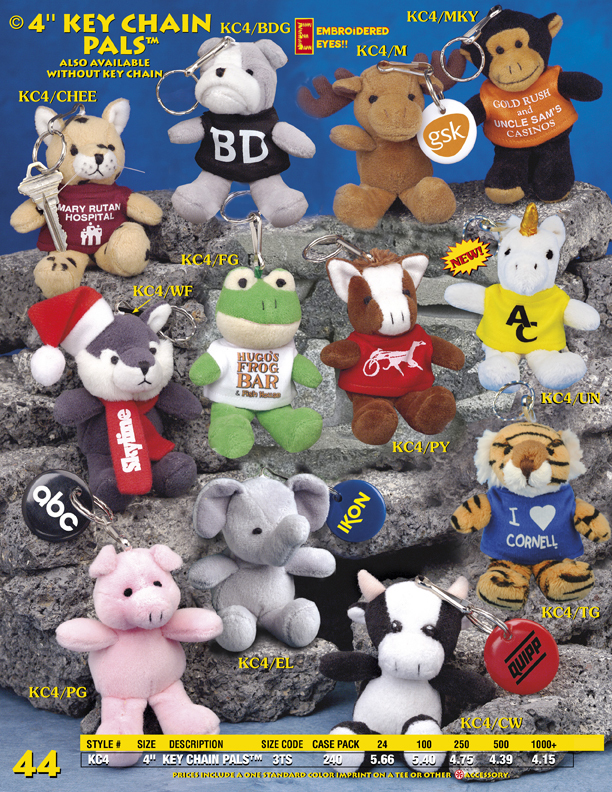 The keychain stuffed animals are popular for school fundraising events and tradeshow giveaways.